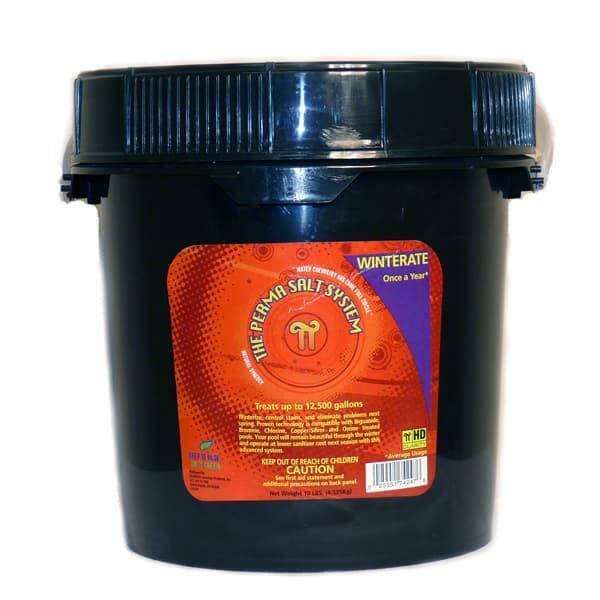 Function: Winterate is a specially engineered chemical blend that is used when winterizing a pool that uses the Perma Salt System. It is an all-in-one winterizer that does not require anything additional to close a pool down for the winter. Also can be used for pools that are not on the Perma Salt System. Note: If using Winterate to close a pool that is not on the Perma Salt System, it is recommended to have a chlorine residual of at least 3ppm prior to closing.